The most obvious differences when you look at the Discovery 57, compared to the earlier Discovery 55, are an additional 20 per cent of hull volume and twin wheels that allow an easy walk through from the transom to the companionway. However, the changes in this new model go much further than this. For instance, hull construction is of vacuum infusion, which produces a stiffer structure while reducing the overall weight of the vessel. The Discovery 57 under sail. 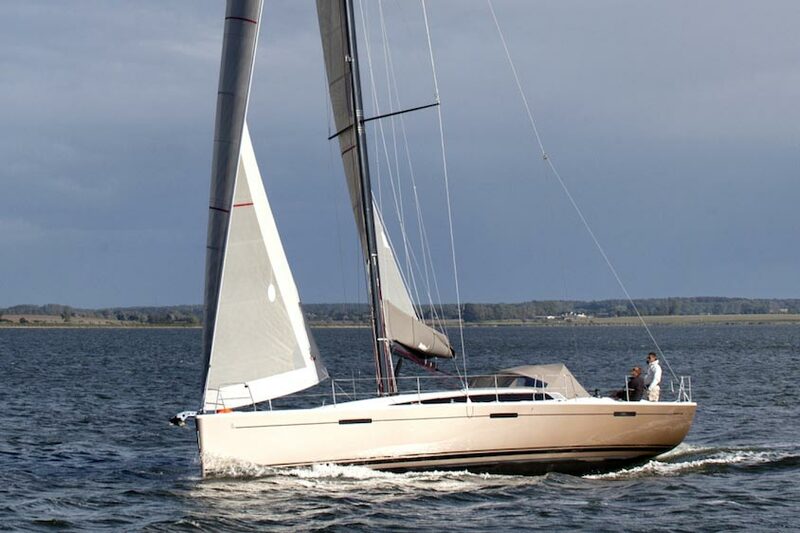 Like other models in the range, the Discovery 57 is designed to be sailed long distances by just two people. It also offers a high level of comfort, enviable stowage space, and plenty of space to accommodate guests. 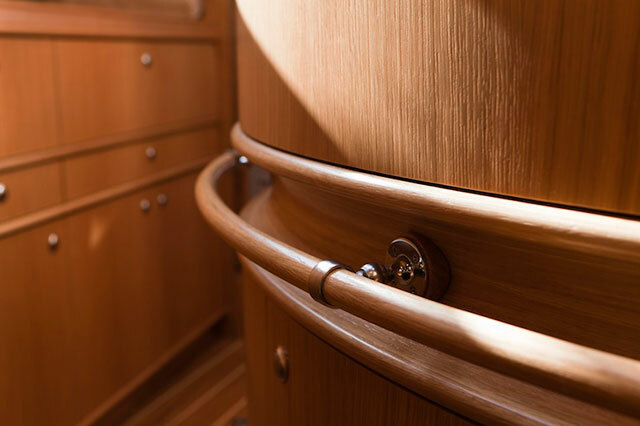 The boat incorporates all the signature features that have come to define the Discovery range, including a nav station in the deck saloon with an almost all-round view that’s ideal for watch keeping at night. In addition, only three easy steps separate the saloon from the cockpit, which makes communication easy. In addition, attention to detail is impressive. For instance, the aluminum mast has a custom made die, which ensures exactly the right section is used, rather than having to specify a larger and heavier stock size. Discovery 57 layout below decks. Interior detailing on the Discovery 57. The Ken Freivokh designed interior provides a light and airy, flexible living space with a choice of wood finishes. The large raised saloon and separate navigation position both offer near panoramic views and plenty of natural light. The galley has plenty of stowage, including a 170 litre freezer and 300 litre fridge, plus impressive worktop space. Another key feature is the full width aft owner’s stateroom, a huge area that’s well appointed, with excellent stowage and a large en-suite. Forward of the saloon the standard layout for the 57 has a useful twin-berth cabin, plus a double guest stateroom in the bows. A high degree of customisation is possible, and before the interior fit out commences owners get the opportunity to work with the Ken Freivokh team to optimise the interior to best suit their needs. 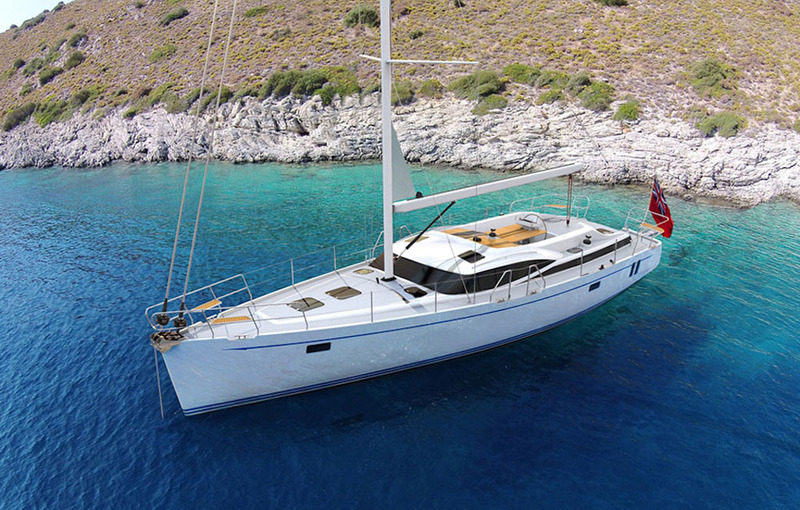 While comfort below decks, both at sea and in port, was clearly a key priority, the Discovery 57 was also designed to be a powerful sailing yacht with excellent manners. The Ron Holland designed hull has a fine entry to minimise resistance, while the maximum beam is carried well aft to increase stability and enable fast, yet extremely comfortable, passage-making. 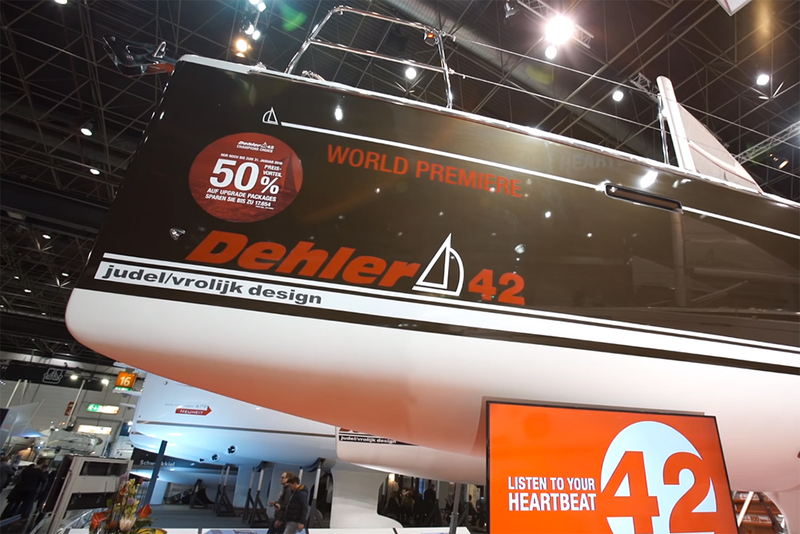 The semi-balanced rudder helps to ensure the boat is light and responsive on the helm, while being easy to manoeuvre in confined spaces, and each of the twin wheels has a good view forward. As standard electric in mast reefing is fitted, along with a self tacking 90 per cent furling blade jib and a roller furling genoa. The electrically powered mainsheet traveller can be operated remotely, enabling easy sail trimming. 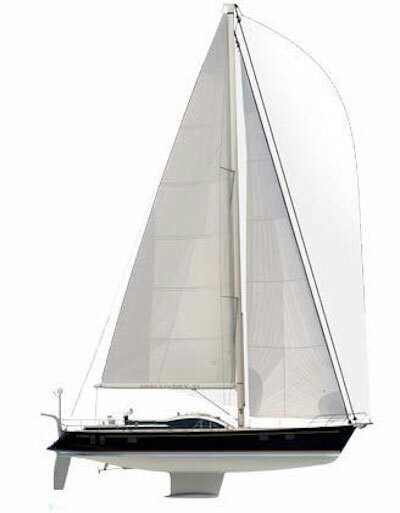 The sailplan on the Discovery 57. 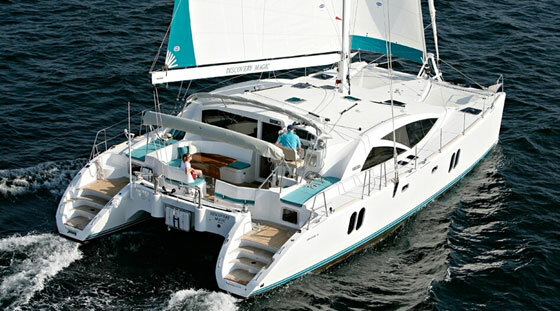 The Discovery 57 comes with an extremely high level of equipment and, while the company is happy to accommodate owners’ wishes, the standard boat has all the equipment necessary to immediately start long-distance voyaging, including anchors, fenders, instrumentation and even a washer/dryer. 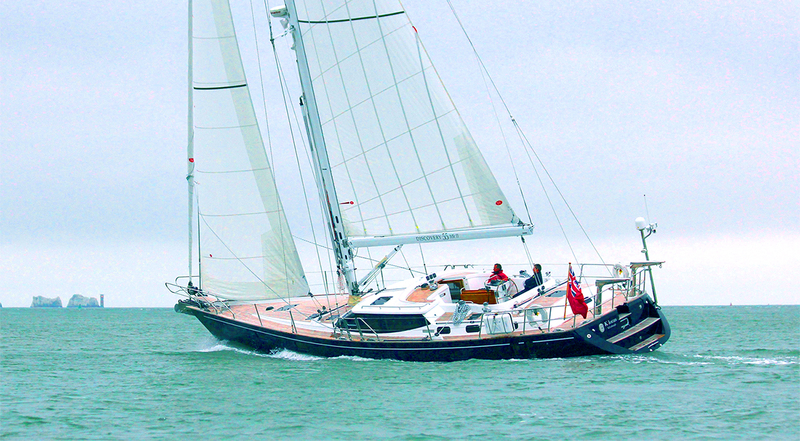 Other items in the standard specification include generator, microwave, central heating and electric in-mast furling. 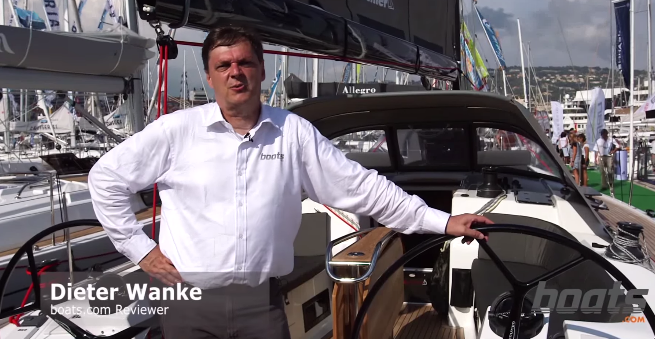 The anchoring arrangements are a good example of the attention to detail that has gone into the Discovery 57. The oversize 40kg Delta anchor comes with 100m of 12mm calibrated chain that falls vertically into the chain locker, without piling into a heap under the windlass. The bitter end is securely fastened high up in this locker so that it can be easily checked. Large Delrin rollers make it easy for the anchor to be readied for lowering, help the chain to flow smoothly and enable the anchor to easily self-stow after use. The 24V motor for the electric windlass is located in a protected position in the dry locker aft of the chain locker and the windlass can be operated remotely, both from on deck and in the cockpit. The Discovery 57 is the product of a huge amount of experience and meticulous attention to detail that has created one of the most comfortable yachts that’s suitable for short-handed blue-water cruising. Owners have the back up of first-class aftersales support, which also helps to maintain the value of used Discovery models. 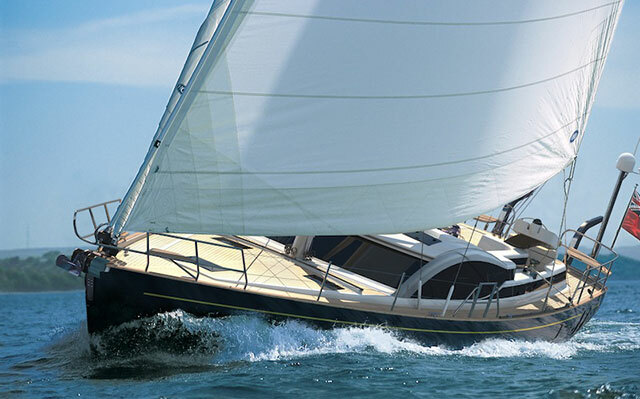 It’s perhaps no surprise that four yachts were sold to an international customer base, even before the first Discovery 57 left the factory (for more on Discovery Yachts see Discovery Yachts: A British Boat Builder on the up). The Discovery 57 is the product of a huge amount of experience and meticulous attention to detail. Accommodation-wise Discovery has sensibly avoided attempting to cram in too many cabins, charter boat style. What you get instead is an excellent layout for the way in which most owners use their boats and with ample space for guests in their own cabins. Other than that, it’s hard to pin down any compromises that have been made with this boat, although that perhaps is reflected in the price. There are cheaper options in this size range, although Discoverys tend to sell readily on the rare occasions they are change hands, and they command high prices, which helps to contain the long-term costs of ownership. There are a number of alternative boats of similar quality from both British builders and others around the globe, including the Gunfleet 58 (see First Gunfleet 58 hull hits daylight), Oyster 575 and the forthcoming Rustler 58. 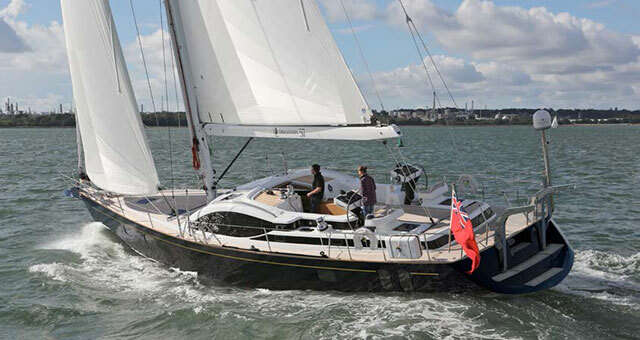 Of course, there are also plenty of cheaper options for a cruising yacht of this size, including the new Beneteau 57 and the sportier Bordeaux 60, built by Beneteau subsidiary CNB. However, the Discovery 57 belongs in a different league – Discovery’s attention to detail, the degree of customisation that’s possible with small-scale production and the after-sales service, including intimate knowledge of your particular yacht and all its systems is something volume boat builders cannot offer in the same manner. 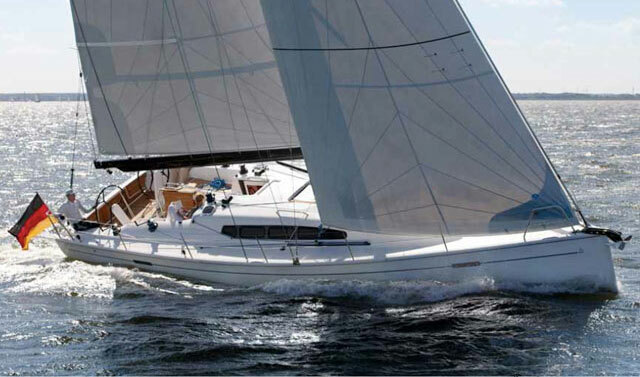 Find out more at Discovery Yachts. 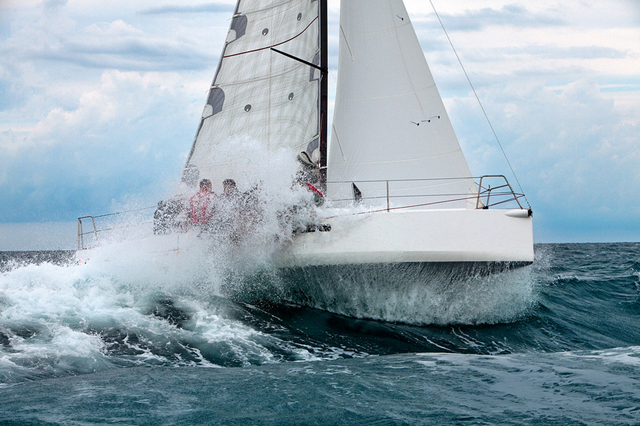 Read a review of the more recent Discovery 55 MkII.